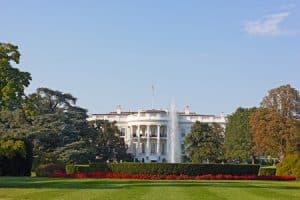 Home · Property Management · Latest News : How does the Trump tax plan impact real estate investment? A cap of the mortgage deduction in the Republican-backed tax plan working through Congress has many sectors of the real estate industry crying foul. The National Association of Home Builders (NAHB) and National Association of Realtors (NAR) have both warned of declining home prices, particularly in high-priced coastal markets. Furthermore, doubling the standard deduction could result in many homeowners forgoing the mortgage deduction altogether. The motivation for both of these groups is fairly transparent: higher home prices is good for their members. Outside the furor, the long-term impact of the tax plan is much grayer and has little impact on most Americans. The Bay Area, Southern California and New York are the most often cited cities impacted by the mortgage-deduction cap. According to Zillow, eliminating the state and local tax deduction and doubling the standard minimum deduction would result in homes valued at more than $800,000 worth taking itemizing the mortgage deduction. The impact of the cap on the mortgage deduction could further nullify the number of future homeowners impacted by tax reform. Existing owners are exempt and can continue under the old cap of $1 million. Zillow estimates that only 5% of homes would be valuable enough to take the mortgage deduction, and that’s before the newly announced cap. Is the mortgage deduction cap a middle-class burden? The question becomes, is this a tax on the middle class? Real estate lobbying groups believe it is. It’ll make it harder to buy a home and could lead to a “housing recession” in some of the most expensive markets according to NAHB’s CEO Jerry Howard. Zillow’s senior economist Aaron Terrazas stated the impact will be felt by retailers, not necessarily in home value declines. Regardless of the actual implications, the tax plan really only impacts homebuyers in a few arguably overheated housing markets where a market correction is already overdue. The area’s median price for a single-family home in San Francisco is over $1 million, more than 10 times median household income. A disparity that wide on a metro level isn’t sustainable. A bear housing market in the Bay Area, Southern California and New York would certainly erase a significant amount of equity, but it would also bring more buyers into the mix. On average, bear markets tend to delete two-to-three years of housing appreciation. With the prospect of a housing-market correction in high-priced metros, how should local residents in these areas engage the real estate market? One avenue is through arbitrage. While continuing to rent in high-priced markets with better ROIs, investors can acquire rental homes or even apartments in lower-priced areas. Although mortgage interest isn’t a tax deduction on rental properties, investors are able to take advantage of many tax advantages that will remain in place under the new tax guidelines. Deprecation is one such advantage. If tax reform passes, what’s next? Overall, doubling the standard deduction is a tax benefit that will impact the more than 35% of renter households, not just homeowners. When the government utilizes homeownership as a political football, significant repercussions can result. In the 1990s, the government pushed loosening lending standards to encourage homeownership. Combined with a series of other unchecked lending practices, housing prices soared and the deepest recession since the Great Depression gripped the nation. Millions of Americans lost their jobs and homes, and realtors and homebuilders, in particular, paid a heavy price. Reducing the mortgage deduction and weakening its viability will enable normal market forces to impact the housing market, which is good for the industry. Furthermore, reduced taxes for middle-class renters will hasten their ability to save for a down payment and enjoy the benefits of homeownership if they choose. Then, mortgage interest rate deduction benefits too few people in too few areas, and a broad-based decrease in taxes will ultimately benefit the housing market.